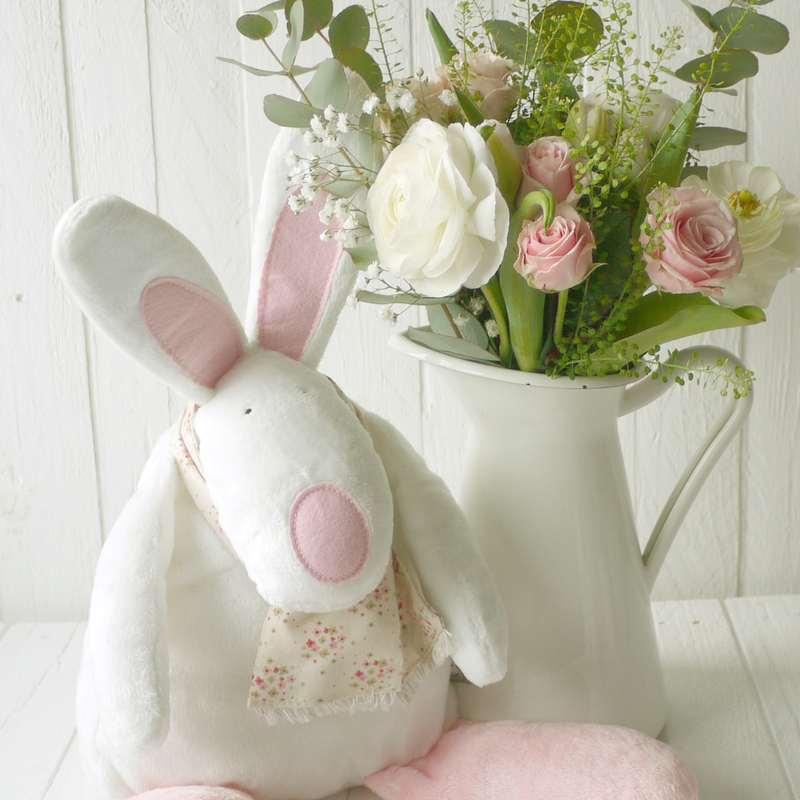 Wanted… A loving home for our limited edition soft toy Rubie Rabbit. Romantic Rubie is Rufus’ twin sister. 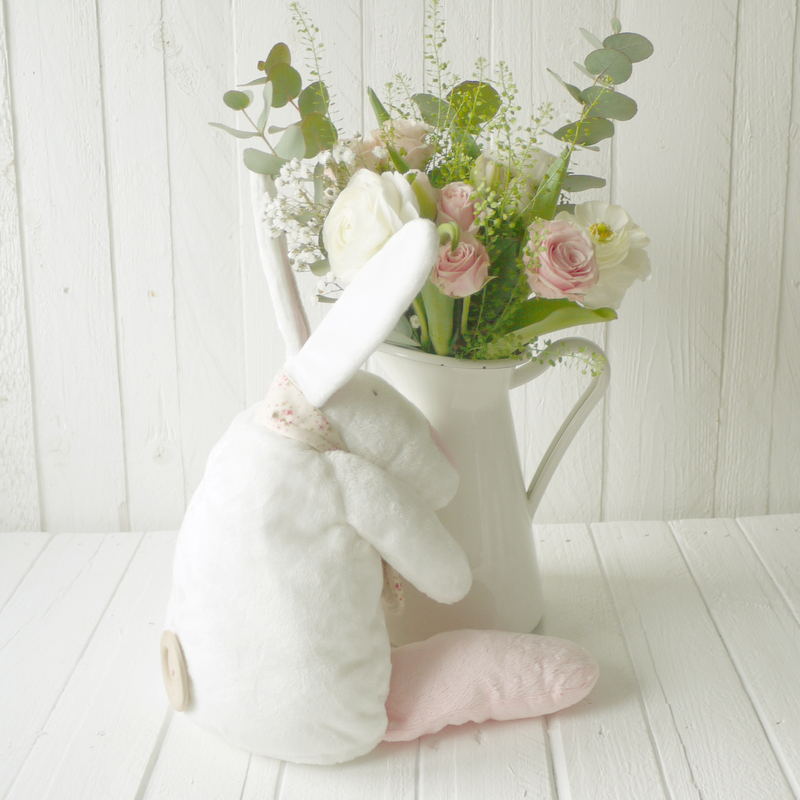 Our gorgeous velvety, super soft rabbit has a beanie weighted bottom. 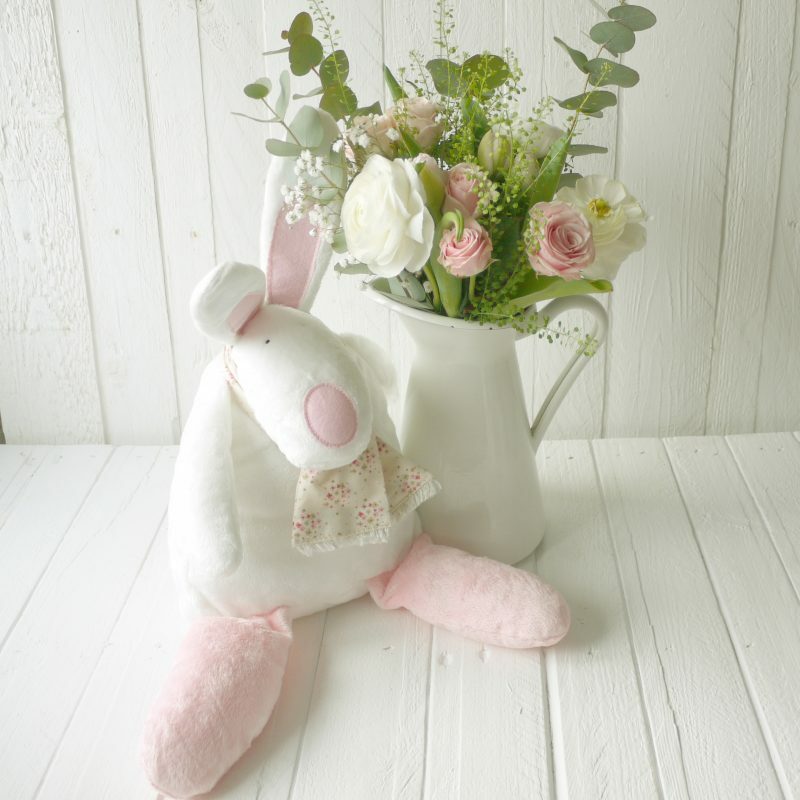 She also has felt ears and nose detail and a large wooden button tail. Some bunnies just ache to be noticed. To stand out from the bunny crowd. And so in this section, you will get the chance to care for one of these very special rabbits. 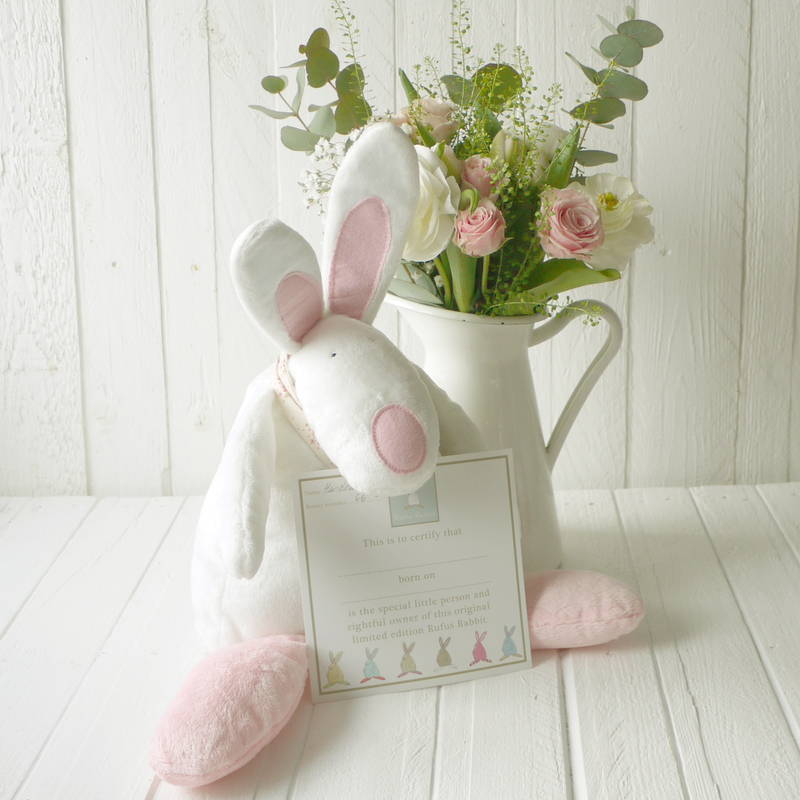 Each bunny has it’s own certificate of authentication which can be personalised with the lucky recipients name. 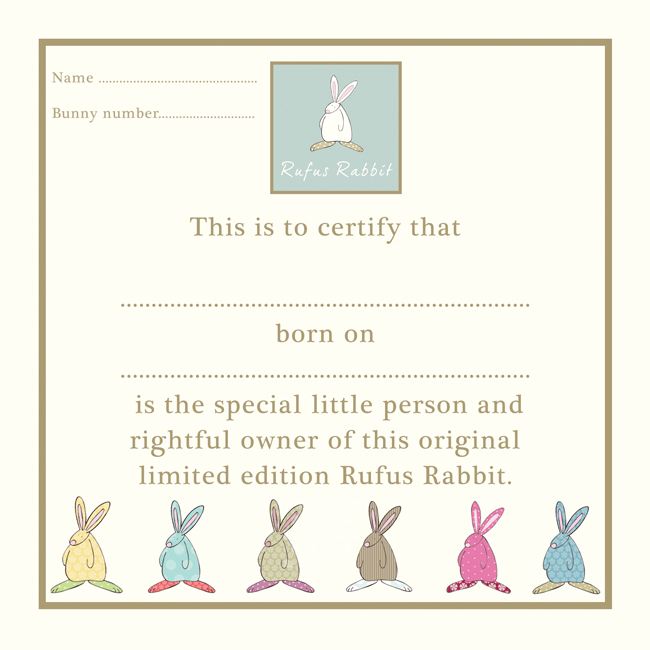 Whilst you are here, please do feel free to enjoy Rufus’ funny bunny blogs Be kind to your post baby self.